Born: 2 March 1904, Cape Town, South Africa . Died: 17 May 1988, Cape Town, South Africa . Ren� M. du Toit qualified as a veterinarian in the Faculty of Veterinary Science of the Transvaal University College (soon to become the University of Pretoria) at Onderstepoort in 1927. The following year he joined the Department of Agriculture as Veterinary Research Officer at the Allerton Laboratory, Natal, and in 1929 was transferred to the Entomology Department of the Veterinary Research Institute at Onderstepoort. During 1930 he was in charge of the Armoedsvlakte experimental station near Vryburg, but returned to Onderstepoort the following year. During the next few years he was mainly involved in a study of the transmission of bluetongue and horsesickness by biting insects. In 1936/7 he studied at the University of Minnesota, United States, as a Commonwealth Foundation Fellow. From 1939-1945 he researched the use, and application from the air, of DDT to eradicate the tsetse fly (Glossina pallidipes) from an area of some 18 000 square kilometers, thereby eradicating the economically important disease nagana for many decades. Based on this work he was awarded a DVSc degree in 1953 with a thesis on The control of tsetse flies by chemical means. In later years he was involved in proving the role of Culicoides midges in the transmission of bluetongue and horsesickness and the identification of the multi-serotypic nature of these diseases. 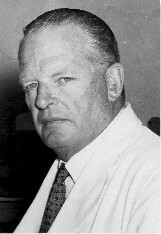 He was appointed Professor of Parasitology at the Veterinary Faculty of the University of Pretoria in 1961, and from 1966 was Dean of the Faculty until his retirement in 1969. The Witwatersrand Agricultural Society presented him with its annual award in 1988 for his contributions to agriculture. Posthumus, P.J. Past Veterinarians in South Africa Vol. 1, 10th edition, .